Following the successful reopening of the Winterbourne Pub (Formally the White Horse), many have asked if they can become part of the great community project. 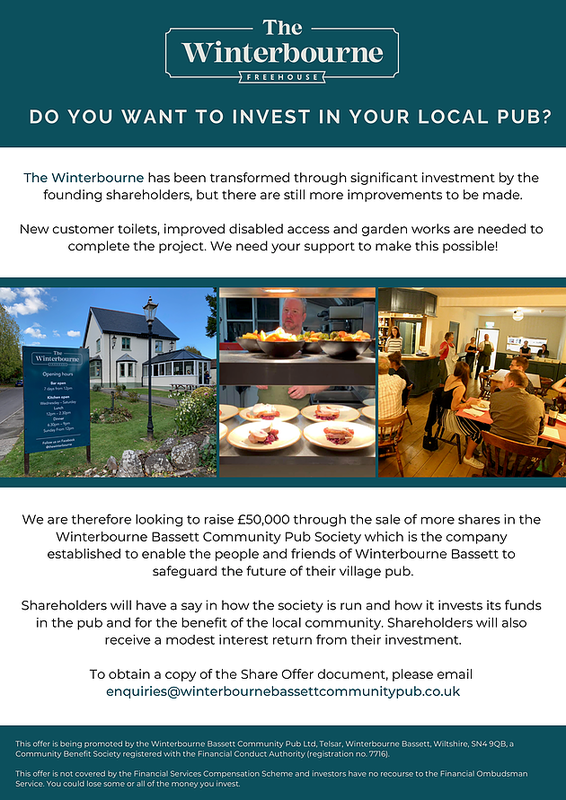 Therefore we have decided to reopen the share offer, you can become a member of WBCP by investing in our new share offer and support further improvements to The Winterbourne. You will earn interest on your shares, benefiting from the future success of our village pub. For a copy of the share offer document or any other information email or private message us.